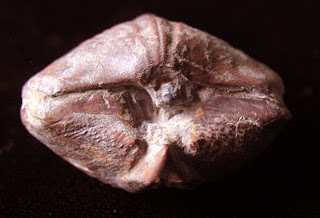 Internal cast fossil of maybe a Syringothyris sp. 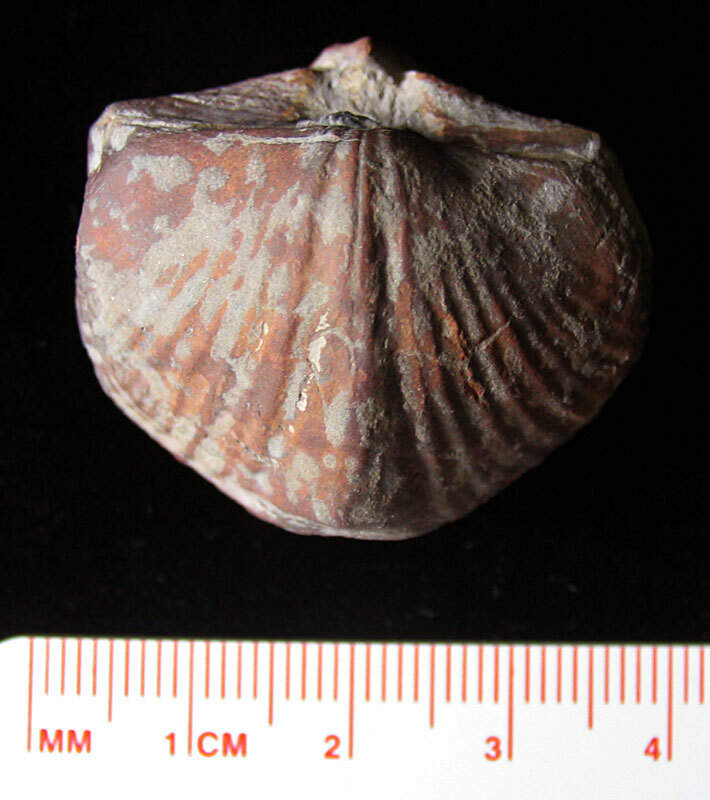 brachiopod found in Washington County, Indiana. 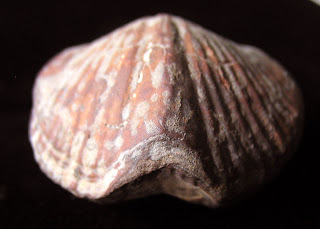 It might be from the Spickert Knob Formation (Borden Group) of the Mississippian Period. According to the Indiana Geological Survey, this formation is wedged between the Edwardsville Formation (above) and New Providence Shale (below). The formation this fossil was found correlates to the Keokuk Limestone. 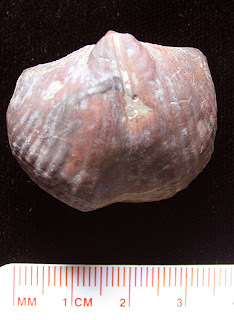 Thanks to my cousin for this fossil specimen. Identification resource used is the Indiana State Museum collections database. In particular specimens 71.1.7234, 71.1.11021, and 71.1.11022.were used as similar fossils. Note two of the specimens were identified down to the species as Syringothyris texta.